WORK SCOPE: Iraq has abundant oil & gas deposits with Basrah Province at the center of production and commerce/port activity in Iraq. Basrah City also has major industries (steel, refineries, chemicals, fertilizers, cement) contributing to Iraq's economy. The power sector, however, needs significant investment to be able to meet the electric demand of all these and related activities. Hartha Power Station, in Basrah City, started operations in 1982 using 4x200 MW units designed to fire oil & gas. However, since the year 1992 (Gulf War), its capacity has been limited. In Feb 2015, the Governments of Japan & Iraq signed a loan agreement with major funds for Unit-4 rehabilitation. 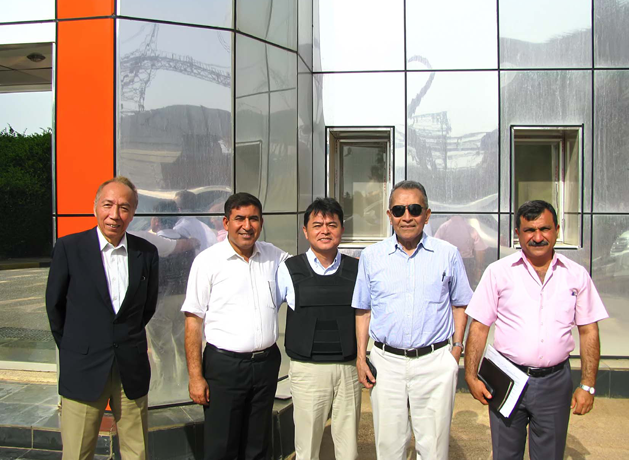 Nippon-Koei (Japan) with USPC, as sub-consultant, submitted a proposal and were selected as the EPC Consultants to monitor/oversee the work by the EPC (Mitsubishi-Hitachi Power Systems, Japan & GAMA, Turkey) from the start-up to completion of Unit-4 rehabilitation. USPC work is concentrated in the Mechanical, Instrumentation/Control & some Electric/BOP areas. I. Rehabilitation Preparation Phase - Work by USPC: EPC technical bid evaluation, EPC Contractor equipment design reviews, Client support at meetings (kick-off, progress reviews) to be followed by the field work. Prepare Report on Completion of Final Phase of Project.